No thank you 36' 42" 48" 60"
It’s all about your customer. Your reception area's appearance is important to us. That’s why every reception desk produced in our facility is made according to your selection of size, material, and color. 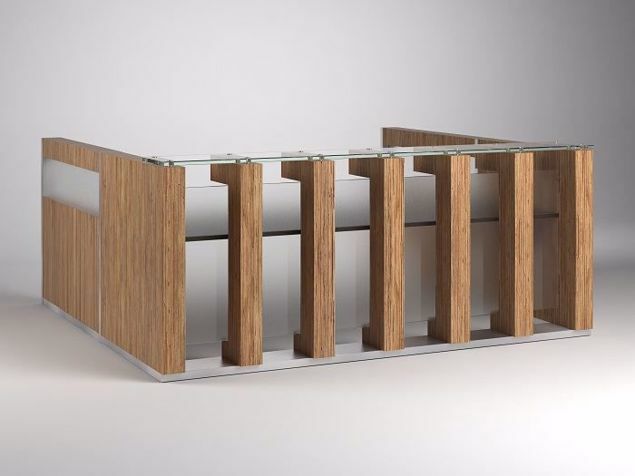 You can begin with the reception desk of your choice, and we will modify it with your personal appointments. We feel this specialization process will help you communicate a strong message about your business...just the way you want it said. The personalized statement you make about your business is often unavailable in mass-produced furniture. We'll attend to every detail in production to help you take both user and visitor experience far beyond what’s possible anywhere else. 90 Degree Office Concepts can help bring to your workplace the perfect environmental representation of your brand. The unique attributes your company possesses are something your customers need to see. Because you are unique, we feel it is important that your visitors experience this from the moment they walk through your door. Helping you celebrate your differences, by design, is what we do best. "Building great concepts for your brand"
The Washington Reception Desk is unencumbered with flashy, ornate ornaments; in fact, its simplicity of style is what makes this reception furniture distinctive in its modern appearance. The contemporary lines are straight, clean, and a bit modest. With that said, the Washington still packs a punch by virtue of its striking detail. 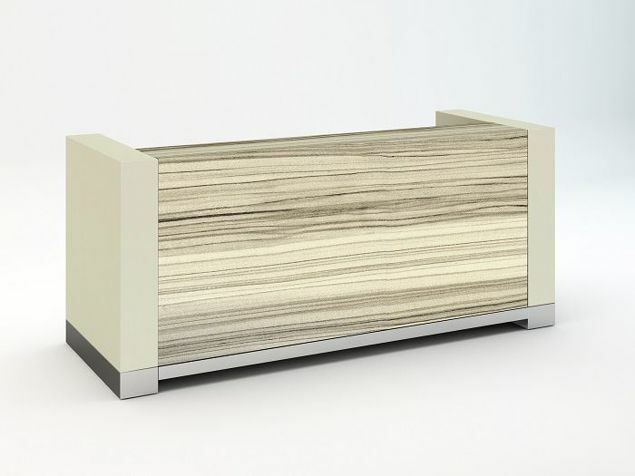 Devoid of sumptuous extravagance, this reception desk still has enough character to stand out from the crowd. 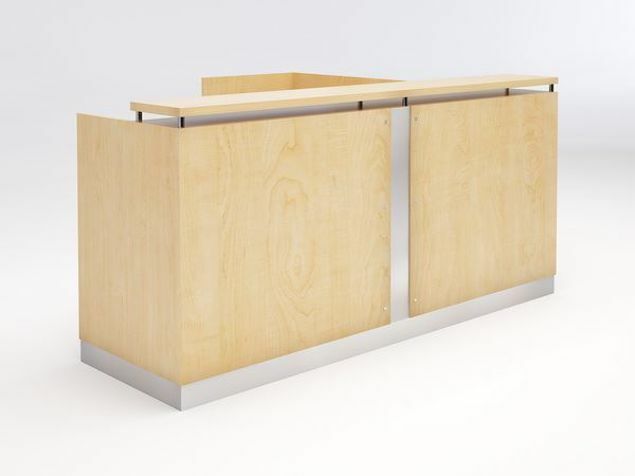 The Washington Reception Desk can be ordered in standard sizes of: 6', 8', or 9', and custom sizes are also available with a quick call or email. The benefit of size flexibility permits you to alter the desk to suit your space and number of users. Product materials can be switched to match design, style, and budget preferences. 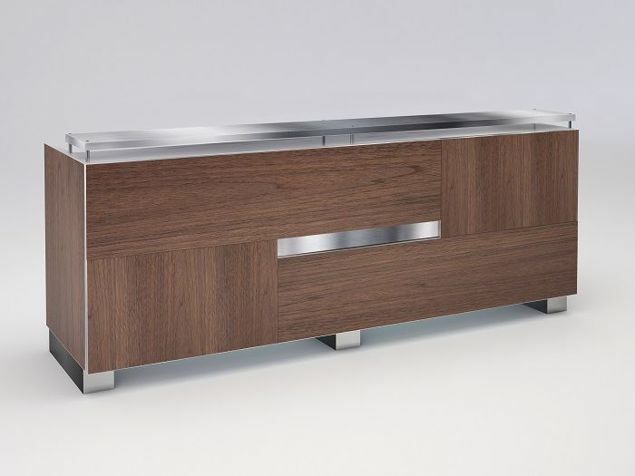 Modify this station to suit by choosing from HPL laminate, specialty laminates, or wood veneer. This reception station’s face was designed and detailed with an exotic sustainable material made from straw and infused with color to provide a rich, unique visual experience. The end panels are white oak and finished in espresso. The facial base is embellished with a 3”H suspended band of brushed aluminum. The Washington Reception Station measures 42"H from the floor x 108"L, and features a 10"D transaction top running the length of the counter. Below the transaction top is a work surface measuring 24"D x 96"L in a corresponding color laminate with 3mm edge-banding. Also available is your choice of 5 colors of metal files or matching wood pedestal files (optional).